A question to Indian PPers. I ordered my supplement stack from UK and the import duty I am being asked to pay by partner courier company Aramax is 100%. Is the duty really this high on supplements? From what I researched before, it was supposed to be only about 40-50%. I find it hard to believe you didnt find the same supplement somewhere in india! There are no official MyProtein distributors in India, so I preferred the main website. you are probably vitamin A and D deficient, top up on these use cod liver oil supplements. do you take it for a 2-3 month period or continue even after it has cleared out? Good question, how long you will take it depends on you. From personal experience whenever I got on roaccutane it cleared me then once I was off it the acne came back, for some ppl you only need to do one course and you will be clear but not for others. For me, I suggested to my Derm whether I could be on a low dose like 20mg a day 4 times a week year round and he said that was ok provided my blood work be done every 6 months. I have now been on it for 9 years blood work has been perfect and have not had acne over these years and have clear skin, but due to my skin tone being fair I am more prone to sunburn due to the roaccuttane. As I am not much of a beach person it doesn't affect me at all as I hardly get an opportunity to be under the sun much. 1) Does acne come back after Roaccuttane ? 2) Do you want clear skin for life ? If the answer for the above 2 is YES, then what I explained is the only solution. It is safe and healthy from my personal experience. I was on 10mg alternate days roaccutane for a whole year till last August and it solved my mild acne troubles for good and I had been clear since being off it but working out is causing the acne to come back. Low dosage roaccutane for an extended period is the best acne treatment ever! It works wonders if you dont have severe acne. 9 years, wow. I expect you to have mountains of moisturizers at home. If you take break from accutane even after such a long spell does it come back? And did you have severe acne to begin with? And did you have severe acne to begin with? It wasnt severe, but it was enough to annoy the heck out of me. And also I dont plan on stopping accuttane ever so I cannot answer whether it would come back after such a long time. i doubt it does anything about scars lol! Cardio? Ain't nobody got time for that. People who are not strong enough to lift/bench end up taking it. Signed up for gym again. Maybe 3rd time is the charm. Or you could do both. Instead of running on treadmill, I play basketball for cardio and once in a while jog outside. The reason why it's called cardio is because it's good for the heart and that's why I do it. My heart becomes stronger from cardio and it helps me with lifting too. 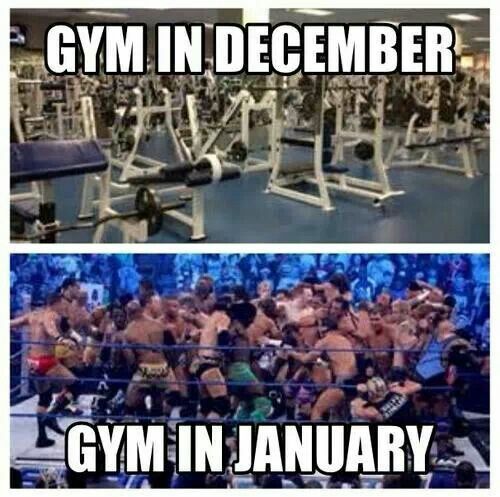 Plenty of resolutioners out there in January! Some "cardio people" at my gym sweat for about thirty minutes and on their way to the locker room, they step on the weight scale, and see how much (water) weight they lost during one session. Yeah, I don't mind basketball etc., that's fine. Personally prefer swimming though. Deadlifted 350 today. I can handle more than that easily although I'm not too heavy on playing with fire since I have had problems with my back in the past. I don't believe in resolutions, if you want to make a change you'd do it today. You'd think successful people wait for resolutions ? Heck no. Tandoori Chicken, Butter Chicken, Goat curry and Naan was bomb though. My point was that gym is always packed with new members in January who stop going after first two weeks. Absolute nightmare to survive these people. Well done. I've only ever hit 315, barely. Do you use mixed grips at that weight? I also thought about wearing gloves for lifting because I have calluses but I would've lost my natural grip wearing them so I couldn't be bothered. Just eat one naan on the weekends then. Can't face handle the fandom and women after losing wait, i'll stick to being fat. These people are the real losers. They have the word "stupid" plastered on their forehead. They come in with gym gloves, shaker, protein shake, beats headphones, do bicep curls all day, jog on treadmill for 10 minutes and adios. Its been a year (minus ramzan and the month after it) that i've been going to gym now. Have seen a lot of improvement in my body, both shape and strength wise. I didnt follow any diet plan. Ate everything like usual but just cut down the junk food by around 30% of what i used to eat. Results have still been quite good. Hope to make more progress this year. I think the Key is to make lifestyle changes which you can manage for many years to come. That way the progress/weight loss/weight gain or whatever your goal is becomes easy to maintain once acheived. If you try to take a short cut and stop eating the good stuff all of a sudden, you might lose 15 pounds in 2 months but you will gain it back because you WILL eat like a maniac sooner or later. Last month i started with Cardio and was supposed to finish my First cycle of 30 days cardio on 9th Feb but unfortunately yesterday i suffered from Jumper's knee. Probably i will take a rest for 2 days and will restart my second cycle which includes Light weightlifting alongside cardio. On a side note i gained 2 Kg during the last month and i did very intense Hiit training. I am actually confused by my progress, my body fat has decreased considerably as my abdominal muscles are becoming evident but at the same time my weight has increased. That's normal. Your body will gain at the start because of the water weight added with all of the carbs you consume and protein mixed together. It's always like that because when you're starting initially that's when you usually consume the most for your energy intake. All of the water you drink during workouts is a big factor too. You'll slowly start cutting after a while so I wouldn't worry. I gained more than four kilograms at the start instead of losing. Last edited by Abdul; 8th February 2017 at 05:40. Everyone makes fitness sound so complicated. It's not hard to stay fit. Inflammation is an issue too, right at the start of a new exercise cycle. That too recedes after a while. anytips on losing weight and Diet ? I was kind of in same boat 2 months back. I started working out after 12 year. In last 2 months, I have now reduced my body fat level to 15% (started from almost 30%) and grown the muscle mass by almost same. I didn't follow very rigid diet plan but reduced the carb intake. Weekly 2-3 meals with carb and rest no carb meals. This has worked well for me till now. Working out is not my cup of tea. Maintaining a healthy diet and abstaining from smoking, alcohol etc. works for me. Maybe if I was short or ugly, I would have been a gym rat to compensate for my shortcomings and boost my self-confidence. You care enough to comment about it. It is a hobby/self improvement and nothing to do with curing insecurities. Working out helps you mentally as well. I'm a fan of kicking the hornet's nest when it comes to gym rats, I find them to be a funny lot. Nothing helps you out mentally more than working your brain. Reading and gaining knowledge is the greatest source of mental nutrition. Gym doesn't compare. "Guys, I don't care. I really, really don't care. Sit down and listen to me talking about how much I don't care because I really need you guys to note how much I don't care. Did I tell you I don't care? It is very important to me that you understand just how little I care." On Topic: I've been saying this forever but it's time to get back in the gym soon. Like I said in the my cricket section, I'm going to try and learn to bowl left handed and really improve my batting which means I'm going to have to work on improving my strength if I'm going to manage anything other than floaty Majid Haq style pies and I'll need the fitness in order to bat for longer periods. That poor squat rack has no idea of the pain I'm about to unleash upon it. Too late for that son, I ruptured a disc in my early twenties and was this close to having surgery to screw the vertebrae together. Lifting weights really helps with the pain management, the increased core strength from squats and deadlifts takes a lot of pressure off the back. Woah that is a completely different direction than what I have gone in. In my late teens I had a spell of over-training in the gym and messed up my back by overloading it. The doc specified no squats or deadlifts. Now that I'm in my mid twenties I have started to experiment with those two exercises again. Squats are still a big no-no, I do it once and will be bed-ridden for the next two days. However, deadlifts I can do easily and slowly and steadily built up the weight to a personal best of 250 lbs. Which is nothing much compared to some of the other lads at the gym but it's still good progress for me. Didn't know squats and deads would be required for pain management since both lifts put considerable load on the back itself. I should have specified that it helped for me, I don't have the medical knowledge necessary to go around recommending it for other people. Bending is the difficult part for me, so tying laces, putting on socks, fielding a cricket ball, my back went a couple of times tackling in American football and once flipping tractor tyres in training. Like you I never got up to any seriously heavy weight, and my deadlift always lagged a bit behind because of my back, I've found that as long as I did my best to maintain decent form squats didn't cause me too much problem. I think I got up to squatting 260 lbs at one point and a 265 lbs deadlift. I had a minor knee surgery a couple of years ago and haven't worked out since so I'm nice and round now, will be good to get back into the swing of things. There is nothing wrong in doing both .... what you demonstrated is the classic example of not knowing your limitations. Our ego and bravado can sometimes be our own worst enemy. The rule is .... if you can't do the exercise with correct form.... stop and drop the weight to where you can keep proper form. Just because you lifted a PB one day doesn't necessarily mean you can or should push through it with improper form on another day. Our bodies are funny little things, don't always work how we expect or want them to. Every workout day is a different day. You should actually find out what the issue is, and not rely on verbal reasoning from your doctor. You might want to try hardening your torso and core with something called the 'suitcase carry' for 3 sets of 30-60 secs each arm as finisher for every workout for 2-3 weeks. All this talk of getting back into training and I remembered I signed up on there years ago. Decent enough site for tracking your workouts and it gives you points and XP a bit like a videogame, would be good to get a PP group set up on there. Be a nice way to motivate yourself and each other imo. Have you ever tried overhead pressing/benching? Contrary to what a certain poster said above, working out is not relative to getting compliments or self-confidence. It is simply training for the body's muscular and circulatory system. Much better training than reading books can ever provide. Not to mention the added bonus of mental strength and emotional freedom. Because Rayyman knows better than to indulge a certain poster with the attention he so desperately craves? I think he is talking about the same poster who said that athletes are selfish and glory chasers. It usually doesn't work like that. Most short and ugly people actually end up giving up on looks and instead opt for alternatives like mental-nutrition and academic success. People with Short Man Syndrome opt for various alternatives, including becoming angry little gym rats. Have seen quite a few of them. Out of this thread now. Have needled gym rats enough, which I like to do from time to time. Last edited by Mamoon; 9th February 2017 at 13:31. Funny how all of us are short, ugly and suffering from one psychological disorder or another and this is what leads us to get together and offer each other advice and motivation as we aim for self improvement. But not as funny as why Mamoon, who is so smart, beautiful, healthy and just so much better than us in every way has to scuttle around desperately looking for attention from strangers who are supposedly beneath him. Forget short man syndrome, we need an army of psychiatrists to unpack all of his personality disorders. Anyone suffering from elbow pain? It started when about a month back while doing shoulder press with dumbells. Took a couple of weeks off. Went back and tried Bench Press. Was fine for the first couple of sets, but the elbow pain flared up again when the weight became heavier. Its got to a point now that even if I lift something light (like a laptop), it hurts. I read everywhere on forums and initially it seemed to be Tennis Elbow. But the more I read on it, the more doubts I have about it being tennis elbow. Have tried rest, ice, massage, foam roller without any success. Have you seen a doctor for it? How intense is the pain? I suffered from the same in 10th grade when my muscles and tendons were not as developed and I pushed it way too hard while throwing a cricket ball. It was so bad that I couldn't even hold a pen for a day after my sports class, so I had to skip them. But it got better as my body developed with age. I would suggest going easy on weights as it still doesn't sound as bad as it could be. In case the pain is excessive, I would probably take a month off from lifting and see a doctor. Yes, from lot of overhead pressing with barbell after a long lay off from lifting. Every lifter will eventually have some elbow problems at some point. The heavier we lift, the quicker we find our weak points. Put some volterol gel on as it has an anti inflammatory and give it a few weeks rest. Do some heavy carries (farmers carry) few times a week to increase wrist strength, it will help you tolerate heavier weights. lost 3.5 kg in two weeks and i feel i need to lose another 8 kg in the next 3 months . when i was on my school and uni's rowing teams i performed better academically than later and i felt i was able to grasp concepts better as well. Exercise is beneficial. I'm physically active as well, but lifting is not my cup of tea. I think it very overrated but that is just my opinion, don't want to offend gym rats. I do respect the commitment though, it is not easy. I completed the StrongLifts 5x5 last year and I honestly lost motivation regularly, and it was really hard for me to get to the end. Not physically, but because of complete lack of motivation and I felt that I could be utilizing that time and effort for something else. However, I did give it a go because I wanted to see the impact of working out on my well-being. I got stronger and fitter, but it didn't have any positive impact on me mentally. For others, it might be different though. Being physically inactive will only lead to health problems, especially when you age. However, heavy lifting has its drawbacks too which become prominent as you age. Last 4 days I deviated from my plan as there were few parties to attend (with Nihari, Kabab and few other my favs). So I can see the effect this week. But anyway, I am back to my plan and now my target is to get to 12% body fat and remain around same weight. Then maintain it. So hopefully by April I should get there. If it is sharp, I would suggest to check with a doctor and till then not to do any exercise which puts pressure there. Other thing is, if your elbow is bending backwards by some degrees when you completely straighten your hand, then you can do something like I do as I have similar issue. So while doing shoulder press or push-ups (which puts pressure on your elbow), do not lock your elbows but stop just before it is completely straight. Not locking is advisable for many exercises including lateral/vertical squats or preacher's curls. You can have serious joint pains otherwise or even tendon injuries. Fair enough, it's all about whatever works for you that's the important thing. Lifting is not the be and end all of keeping fit, there are many other ways; so whatever keeps you motivated go for that. There are sports as well which many play instead of going to the gym or go jogging regularly or lift rocks in the mountain etc there are so many things you can do. There are four types of lifters, those who see it as a sport and are very passionate about it so performance is more important then anything and it's a great thing to do in their spare time, the other individual is interested specifically in aesthetics, then there is an individual who lifts for aesthetics and also is performance oriented and finally there's a lifter who just enjoys performing such resistance exercises for their fitness in comparison to other activities. Last edited by shaz619; 16th February 2017 at 04:00. Shoulder press and bicep/fore-arm curls. Punching bag as well. I don't have a specific schedule. If I'm sore I'll rest and if I'm not then I'll work out.